Resolute Mining has avoided damage at the Ravenswood gold mine in Queensland following the extreme weather that affected the state over the past few weeks. The far north of Queensland has been battered by a monsoon trough that has caused extensive flood damage to populous regions such as Townsville and Ravenswood since January 25. Queensland Premier Annastacia Palaszczuk declared a disaster situation in Townsville on February 1 that was finally lifted yesterday. 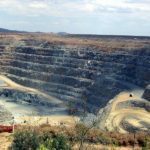 Glencore last week announced that two of its operations had been affected by the weather conditions. Resolute managing director and chief executive officer John Welborn said the Ravenswood mine was unaffected, but the company had made a donation to the Australian Red Cross Disaster Relief and Recovery Fund to offer regional support. “The safety and wellbeing of employees, contractors, and their families is Resolute’s first operational priority,” said Welborn. 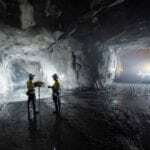 Resolute also reported that the company had forward sold 30,000 ounces of gold at an average cost of $1887 an ounce to be delivered over six months between January 2020 and June 2020. This sale contributed to lifting Resolute’s hedge book of monthly deliveries to 172,000 ounces to June 2020 overall. 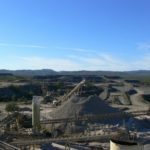 Resolute is currently exploring expansion options for the Ravenswood mine with the Queensland Government.